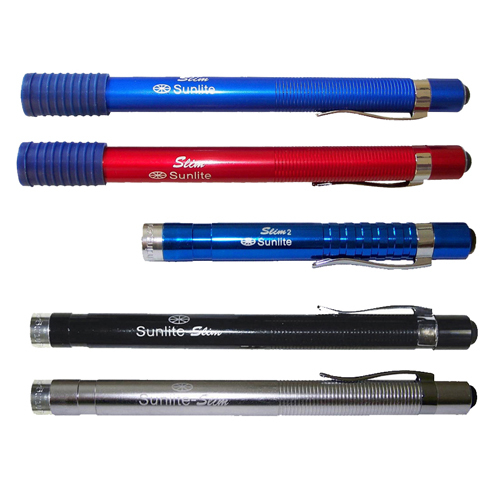 Sunlite's Patented LED Penlights are extremely durable and are ideal for mechanics. The LED heads used in our penlights are made of solid copper and come with a recessed glass lens. A spring built into the back of the LED head helps to prevent damage to the batteries in case the light is dropped upon hard surfaces. 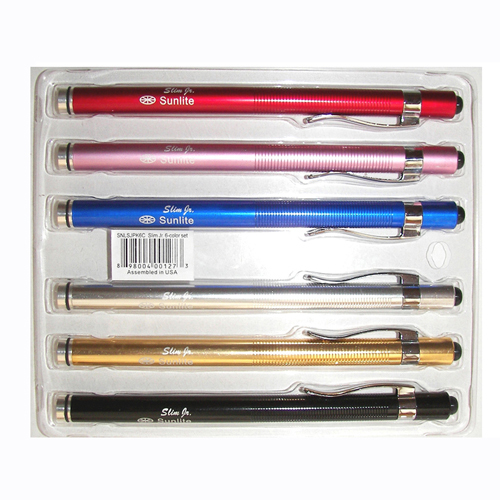 Rubber sleeves are also available to further help prevent impact damage to the light. Our LED heads are easily interchangeable and are available in different emitted light colors for different lighting applications, such as UV for leak detection and Green for hunting. 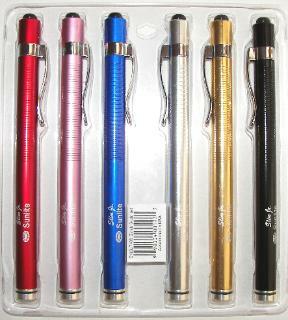 The default for Sunlite's penlights is 6,000K color temperature white light. 3,700K color temperature white light is also available for our Slim (3-Watt) penlights upon request. Our LED Penlights come with a lifetime warranty; the warranty covers normal use but excludes damage caused by battery leakage (corrosion). Exchange options are also available for all of our penlights, including reduced pricing to replace damaged penlights that are no longer covered by our warranty. Please call us at (785)-832-8818 for more details.